Heyyooo honeys! Happy humpday! This week is flying by (no complaints) so we’ll breeze right through this week’s noms as well. 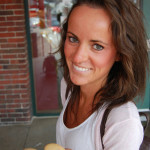 I’m ready to round up What I Ate Wednesday! I passed out on the couch at 9pm Monday night and then slept through my alarm until almost 7am- holy sleepy! After snoozing for almost 10 hours, this smoothie was what I needed to kick me into high gear. 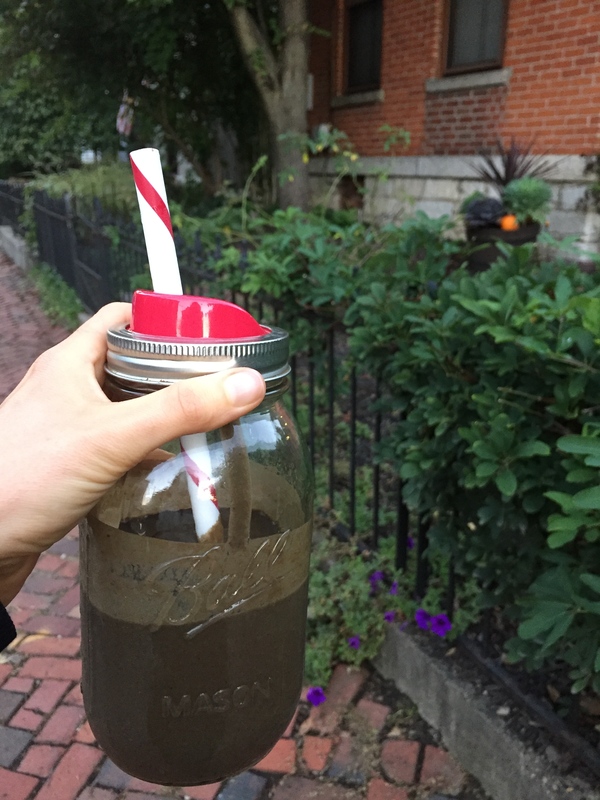 It was packed with frozen cauliflower, banana, cherries, and some of my superfood cubes- check out this post for how to add these healthy bombs to your morning routine! I blended all that goodness with chocolate Vega protein, cacao powder, and almond milk. Chocolate cherry HUBBA HUBBA! I snacked on an apple while cranking through some work and forgot to snap a pic. For lunch, a bunch of ladies celebrated our coworkers wedding this weekend by throwing her a bridal lunch at Aladdin’s Eatery. 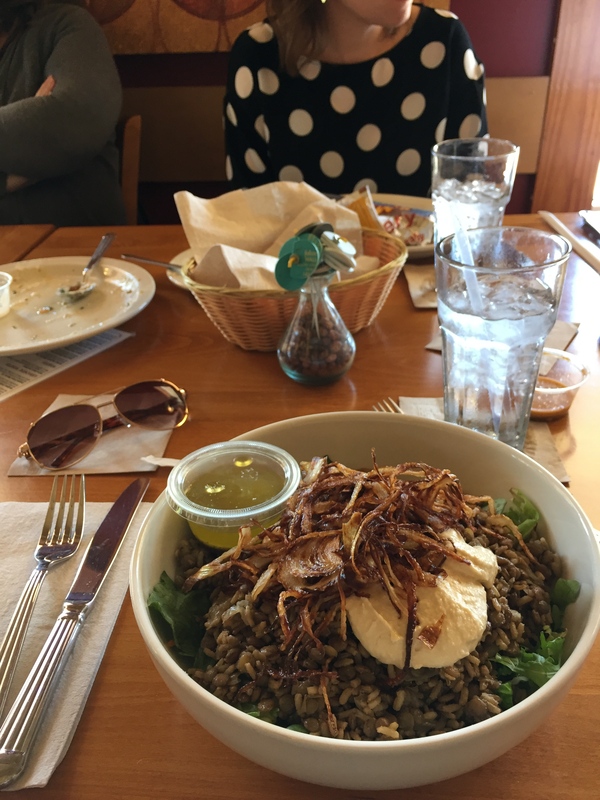 I had the Mujadara Power Salad which consisted of: Mixed greens, steamed lentils, and brown rice topped with Hummus and crispy fried onions, served with Aladdin’s dressing. I skipped the dressing but deeeevoured the rest! Holy cow! It was sooo good and I had lots of leftovers! Definitely going back to try more of their many vegan and vegetarian options. I was so stuffed after lunch that I couldn’t even thinking about snacking. 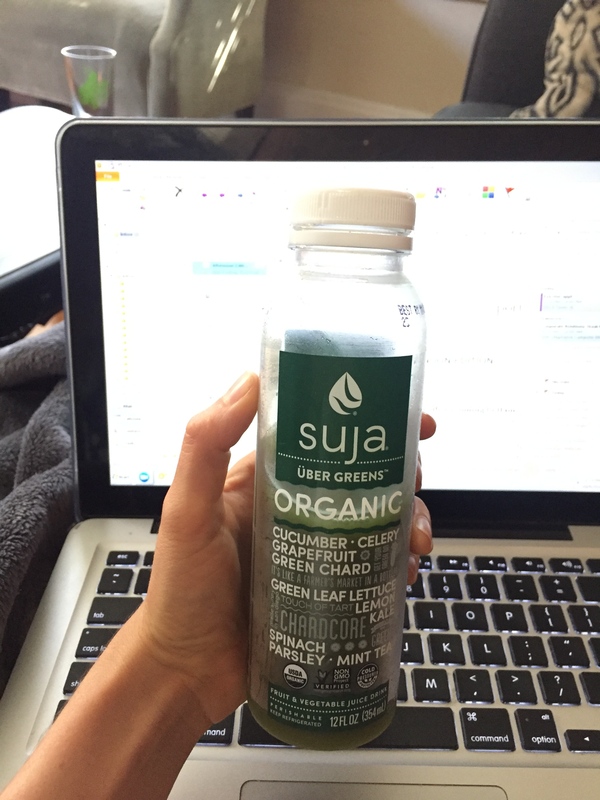 I was thirsty, however, and this Suja juice hit the spot. I like this flavor because it’s mostly veggies and thus, low in sugar. 6g per bottle?! I’ll take it! I broke into my prepped lunches because I was still pretty full and not in the mood for the chili I prepped for dinner this week. 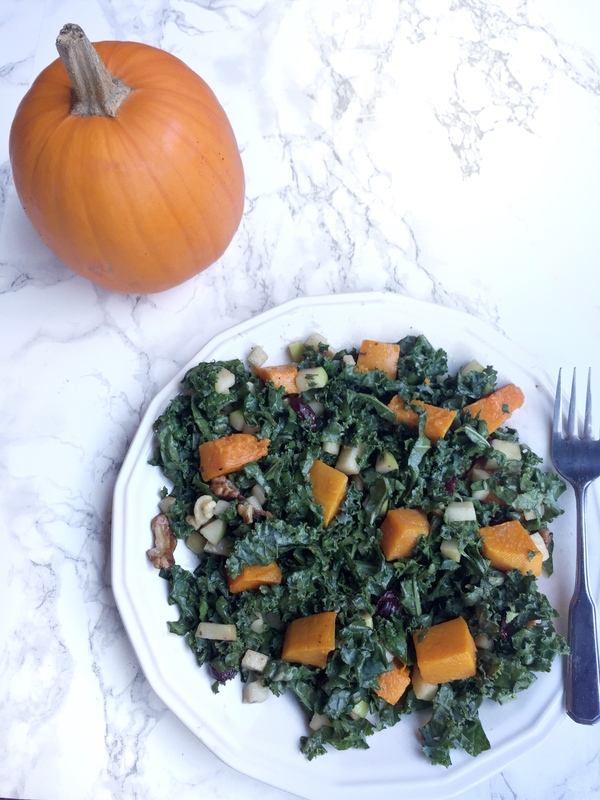 It’s basically last week’s Fall Salad but with some butternut squash added in. Because what’s more fall than butternut?! 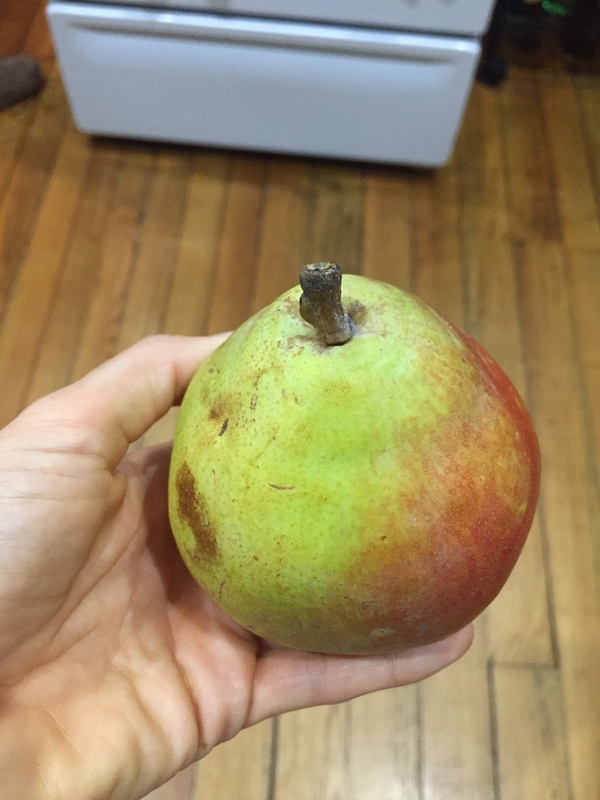 John brought home an incredible pear that a coworker got in a Harry & David box. It was perfectly ripe, mouthwateringly juicy, and downright succulent! And now it’s off to power through the rest of this week. Have a great one, friends!